Sleep in with an afternoon departure and overnight in Galway City. Check in for 1:25 pm departure from Heuston Station (please check in 20 minutes prior to departure). Arrive Galway Station at 3:40 pm. 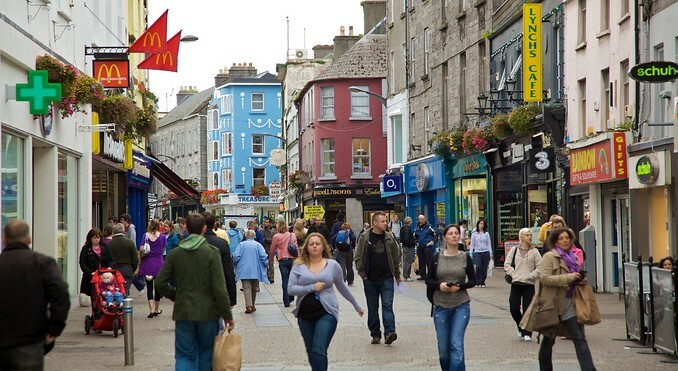 Transfer to your city center hotel where you will then have the evening free in Galway to explore the city. Overnight Stay: Galway. Enjoy your full Irish Breakfast, check out your hotel. 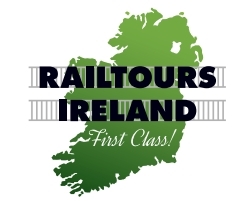 Depart from Galway Train Station and our conducted tour of Connemara leaves Galway to the village of Moycullen. From Moycullen the road rises and falls towards the lovely village of Oughterard on the shores of Lough Corrib, traditionally regarded as Ireland’s premier angling center. Now the gateway to Connemara opens, and the breathtaking colors of this unspoilt countryside are revealed in all their natural splendor. At Maam Cross, the Connemara "crossroads", there is a replica of the cottage used in the 1950s John Wayne and Maureen O'Hara film "The Quiet Man", which was filmed here. From Maam Cross our tour heads out to Leenane, Kylemore Abbey and Letterfrack, in the shadow of purple mountains rolling down to blue and green rocky valleys, reflecting the rich and varied colors of Connemara. There is a lunch break at Kylemore Abbey and Gardens, an 18th century castle now owned by the Benedictine nuns who run an excellent pottery, gift shop and restaurant here. Letterfrack is one of Ireland’s major national parks. The colorful town of Clifden has been one of Ireland's leading holiday resorts for generations. It is an excellent touring center beloved by the walker, the biker, the hiker or the fisherman. It was here too, at Derrygimlagh Bog, near Clifden that aviation history was made when Alcock and Brown crash landed after their historic transatlantic flight in 1919. Back at Maam Cross again and the road turns southwards now through the Screeb, Costello and Rossaveal. Rossaveal is the departure point for ferryboats to the Aran Islands and is also a major fishing port. We are now in the Gaeltacht or Irish speaking area of Connemara where Gaelic or Irish is still the everyday spoken language of a bi-lingual people. 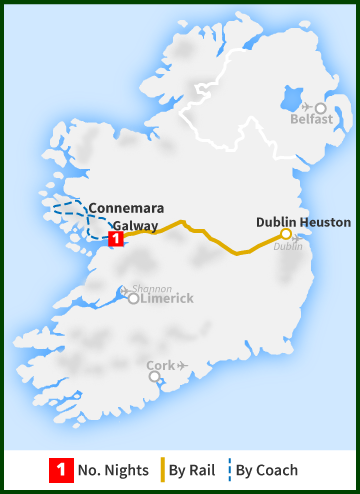 Our tour of Connemara heads homeward towards Galway City now, along the shores of Galway bay, through the Gaeltacht villages of Inverin and Spiddal and looking out across the blue waters of the Atlantic at the unique limestone of the Burren and the hills of Clare. After your day's touring you will be returned to Galway Station for your return journey to Dublin. Returning to Dublin Heuston at 9:45 pm.